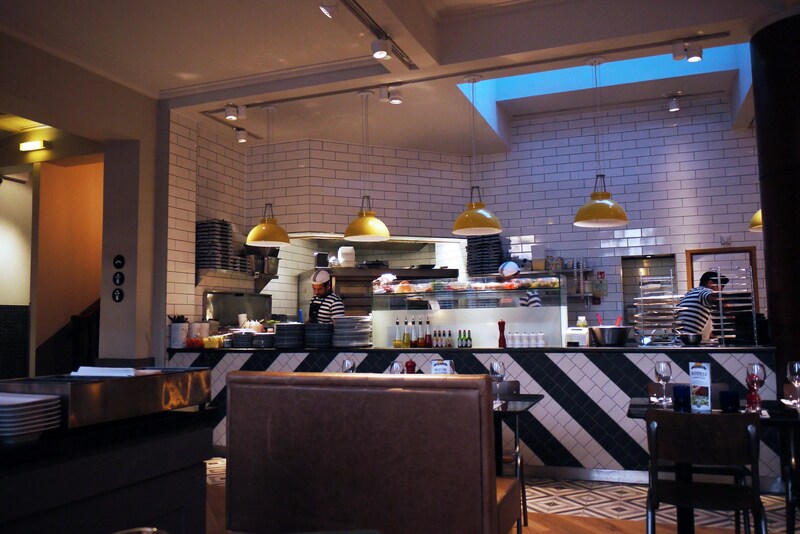 I don’t frequent Pizza Express often and I’ve never been to the Didsbury branch before either. Parking was fairly easy at one of the side streets nearby and there’s a tram stop right outside if you’re arriving via public transport! Alex, who works at the Didsbury branch, gave us a tour! This Pizza Express has been situated inside the old post office for a while, and the refurbishment still retains elements of this including pictures with stamps. 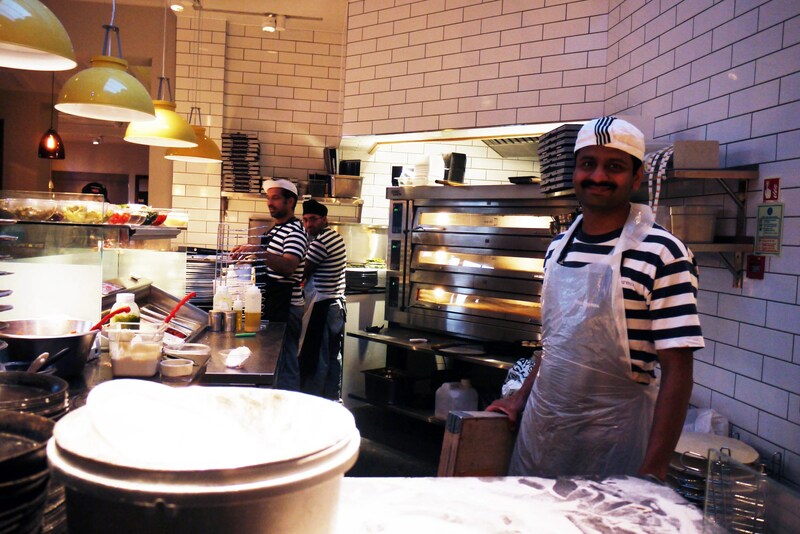 As with all Pizza Express branches, the kitchen is open-plan so you can see your food being prepared. White subway tiles are used on the walls, which are on trend. 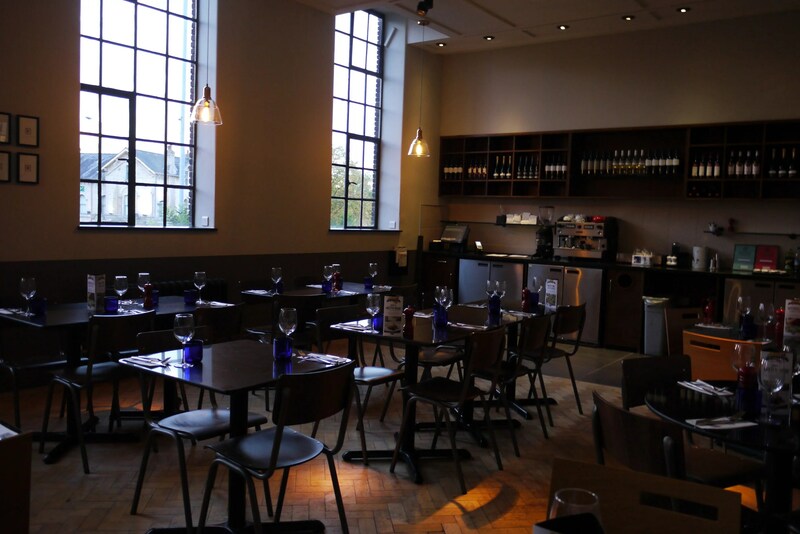 The main dining area is to the right of the entrance and lit quite well – very suitable for families. To the left of the entrance is another dining area suitable for more intimate dining. There is also an outside area with white garden furniture, a parasol and heated lamps. I was told it can get quite toasty outside with the lamps on. There is a function room upstairs which can be hired out. Alex informed me that they plan on having local people play live music in this space too. 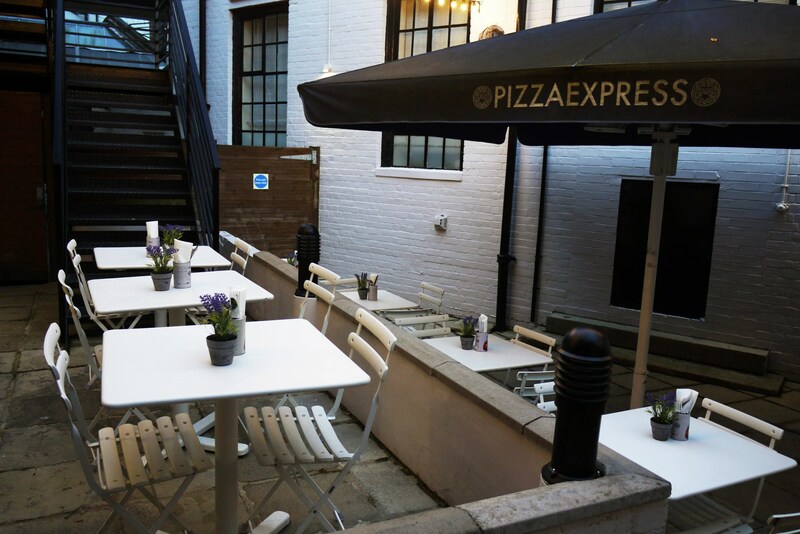 Pizza Express also offer pizza making classes here, suitable for adults and kids alike! The lighting is dark enough for mood lighting but not too dark that you can’t see your food. I also liked that the volume of the music played is a decent level to provide ambience whilst still being able to talk at a comfortable level. Wewere offered a bottle of prosecco, which went down very nicely. The pizzas arrived with a pizza cutter each and we got to work trying to slice our pizzas, which was quite difficult given the size and shape of the plates. The plates were the same size as the pizzas giving little wiggle room in terms of cutting space, and the edges were raised which made the hardest part of the pizza, the crust, more difficult to cut through. Still, we all persevered and managed to get some slices cut. Maybe Pizza Express can get larger plates next time? I chose the Melanzane as I love aubergine (so did my friend! Sorry for taking your choice!). 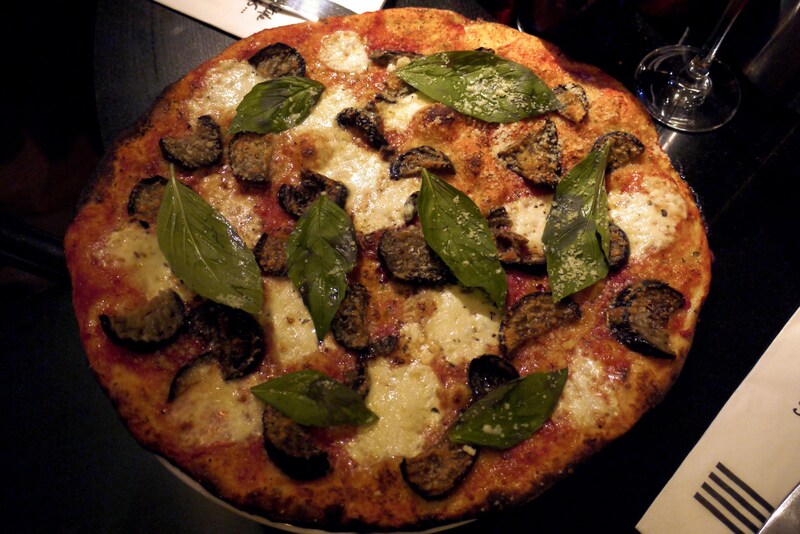 I really loved the large basil leaves on this pizza and there were plenty of aubergines and mozzarella. You can really taste the garlic oil and the hint of spice from the chilli flakes is a beautiful touch. 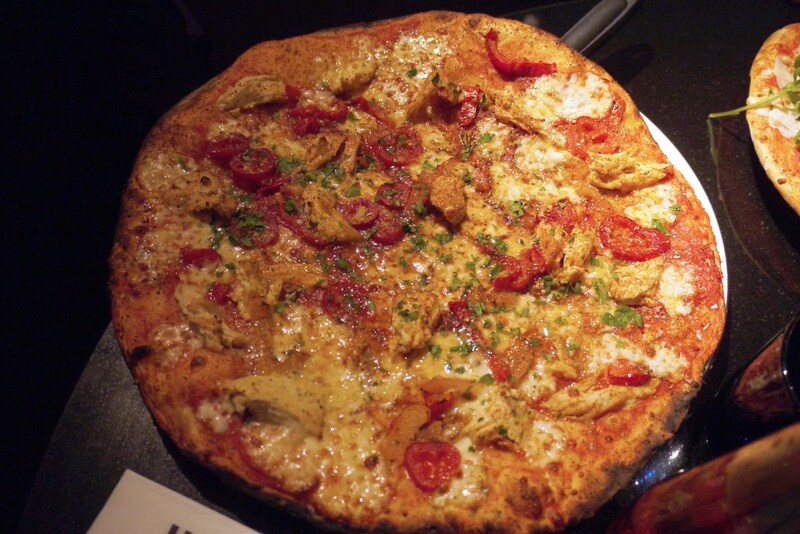 One of my friends ordered the Pollo Forza. The chilli was more powerful in this dish compared to the Melanzane, but not too hot (according to my taste buds). The chicken was really nicely cooked on this. My other friend ordered the Rustichella Romana, after the waiter suggested it. This pizza is a seasonal one from their Autumn menu. The flavours were nice on this and I liked the contrast of rocket leaves on top versus the traditional ingredients on the bottom. I ordered the Lemon Posset Crunch, which is part of their Leggera lighter dessert section. 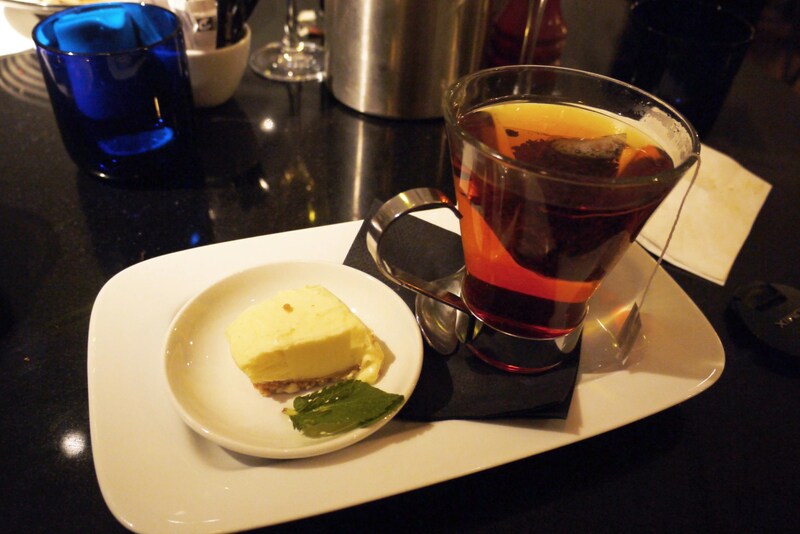 This came on a ginger biscuit base and was served with a choice of tea or coffee. I obviously went with the tea as I hate coffee. One of my friends ordered the salted caramel profiteroles. These were covered in a caramel coating, filled with a salted caramel cream. I had expected something with a caramel drizzle rather than a coating but this was easier to eat as you can just pick the pieces up with your fingers without making a mess. Again, this was part of their Leggara range. 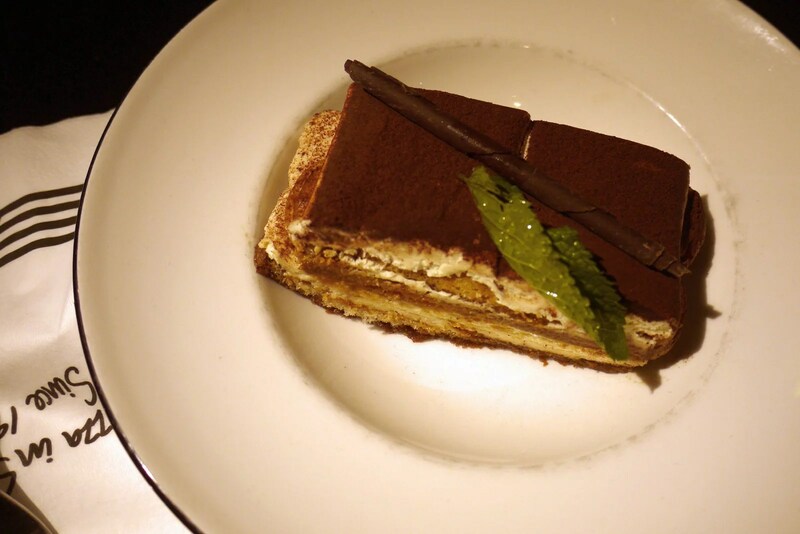 My other friend ordered the tiramisu and it was delicious, a perfect amount of coffee and mascarpone. She’s Italian, so I trust her when she says the tiramisu is good. The Pizza Express site states that this was made with layers of ladyfingers, mascarpone cream, marsala wine, coffee and cocoa. The mint leaf on top did, however, seem redundant. 7/10, -2 for how difficult it was to slice our pizzas. I just want my food now! -1 for the prices as they seem quite steep for what you get. The service was very friendly and I must thank Alex for the tour of the place. 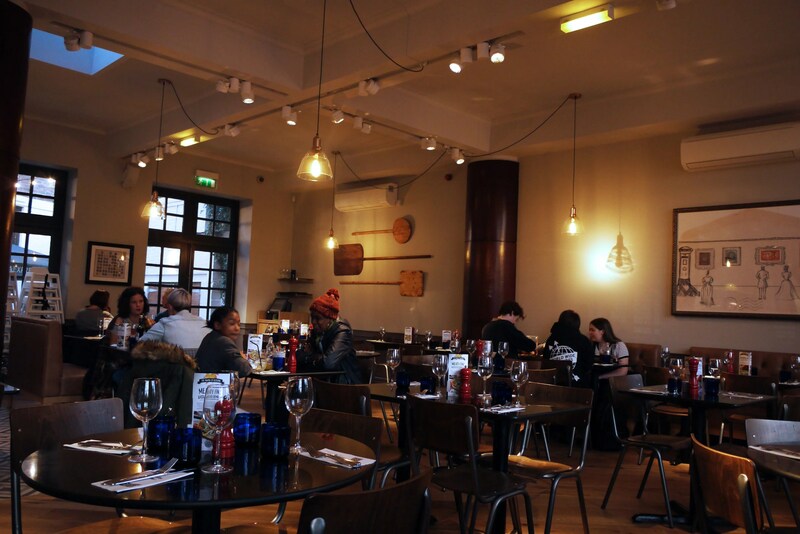 The food was decent and there is a lot of choice, so it’s a good one for groups of varied eaters and families. 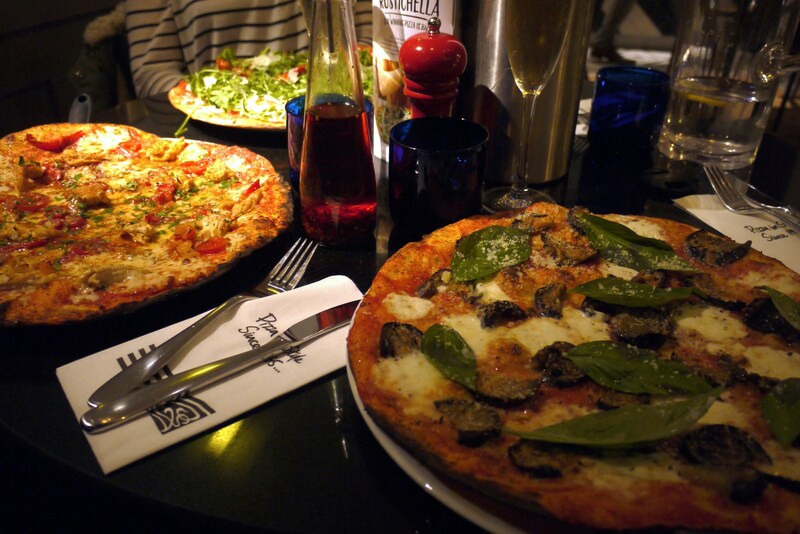 Pizza Express also do student discount for NUS card holders with 40% off on Mondays and Tuesdays and 20% off on Wednesdays, Thursdays and Sundays. If I ever feel like Italian, I would not rule this place out. The student discount definitely brings it more in line with what I think it should cost. 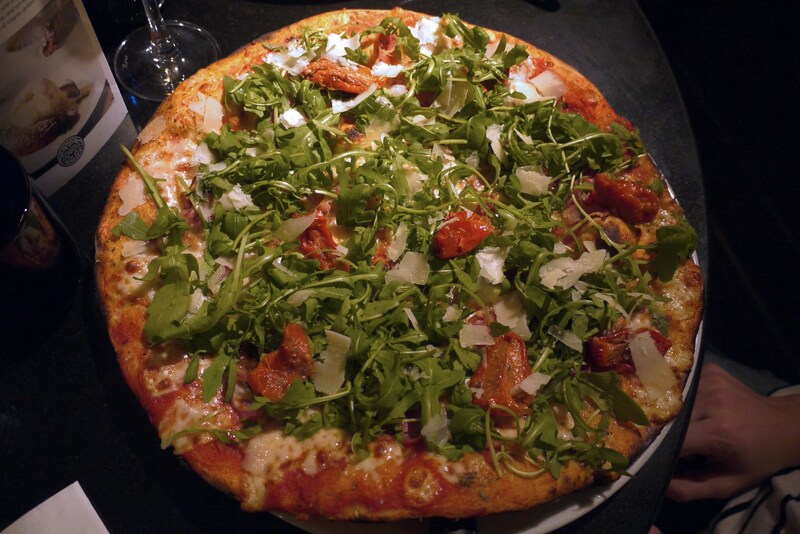 Have you eaten at Pizza Express before? What’s your favourite type of pizza? 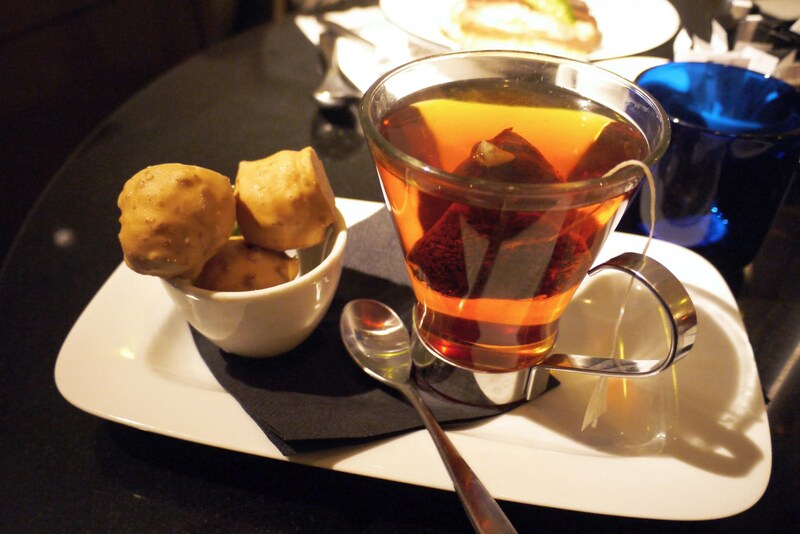 * I was not asked to pay for this meal, all reviews are my own or my friends’ where stated.